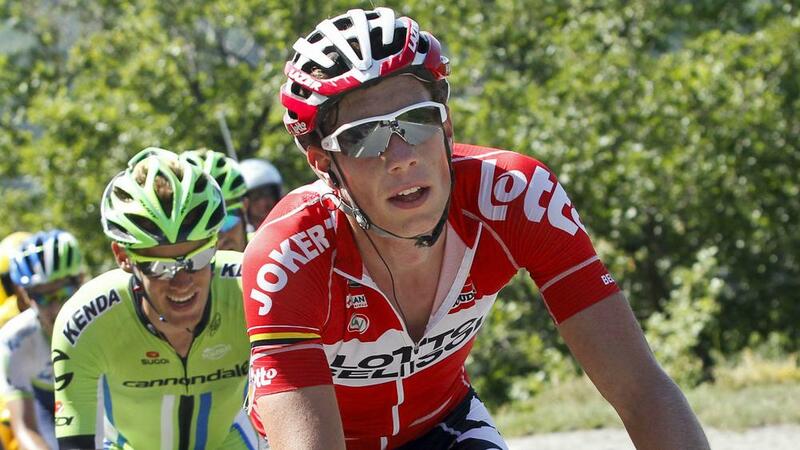 Lotto-Soudal have announced Belgian rider Stig Broeckx is now in a "vegetative state", having sustained severe brain damage in a crash at the Tour of Belgium last month. Broeckx suffered two bleeds on the brain, in addition to a fractured eye socket and lung bruising, after he was hurt in a collision involving two motorbikes. On Saturday, a distressing update was provided on the condition of the 26-year-old. A statement from Lotto-Soudal read: "The past days the neurosurgical team of the hospital in Genk has reduced the medication of Stig in an attempt to get him out of his coma. "Unfortunately Stig doesn't respond to stimuli like sound or movement. The doctors confirm that Stig has incurred severe brain damage, in the brain stem and different brain regions. "He is now in a vegetative state. At the moment it is difficult to predict if the consciousness can partially come back. "Out of respect for the family there won't be any further comments."